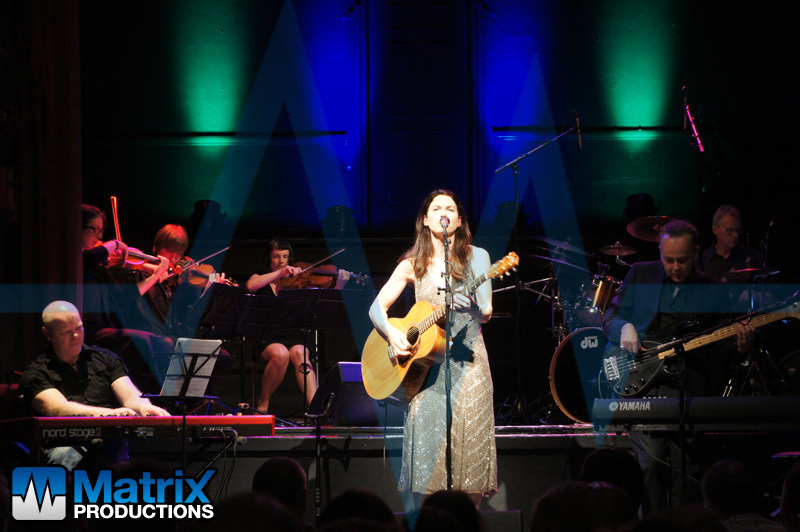 We first worked with Emily Maguire when she was supporting Dennis Locorriere on his UK tour in 2010. Having liked the service we provided to them during that tour, Matrix Productions were asked to provide a sound system for her eagerly anticipated 4th album at Hoxton Hall in London on the 14th July 2013 and also to engineer the warm up gig the week before in the Chapel Arts Centre in Bath. We were delighted to oblige and to save a little time on the album launch date we took a digital mixing solution with us to Bath in order to create a show file for the 7 piece band which could then be used the week after as a good starting point. The band comprised drums, bass, keyboards, cello, viola, 2 violins and of course Emily fronting on either an acoustic guitar or on her piano. The event was a complete success & sell out, showcasing some great new tracks from the new album, and also some classics from her previous three albums. We really think this album is the one, and have our fingers crossed that the album gets the coverage it deserves. We hope to work with Emily & the band for many more gigs to come! FOH mixer was Soundcraft Si Expression 1, FOH system was Nexo Ps10R2/Ls600 with Turbosound TXD-12mx monitors and Shure IEM’s. We also provided a small LED lighting pack to augment the venue’s in house system. If you would like any information on the touring services Matrix Productions can provide please contact Simon Woods-Tucker on 01626 81892 or email here.